(Nanowerk News) Manufacturers, robot suppliers and researchers, here’s your chance to get in on the ground floor of an upcoming national competition intended to help make robots handier and nimbler performers on the factory floor. The National Institute of Standards and Technology (NIST) is launching ARIAC – the Agile Robotics for Industrial Automation Competition, a joint effort with the IEEE Conference on Automation Science and Engineering. Now in the planning stages, this first-ever, simulation-based competition aims to inspire applications of the latest advances in artificial intelligence and other technologies to solve the challenge of making robots more capable, versatile and collaborative, as well as easier to program. Solutions will be demonstrated in a computer model of a real-world manufacturing operation. By engaging now, organizations and individuals can participate in devising the challenges that will make up the competition. NIST will unveil the specific task-related challenges at the IEEE International Conference on Automation Science and Engineering, to be held August 21-24, 2016, in Fort Worth, Texas. Today’s robots excel at a few tasks. Expanding this limited repertoire to accommodate changes in product design or processes requires a significant amount of off-line programming, or downtime. In fact, programming efforts to integrate a robot into a manufacturing operation are estimated to account for 45 percent to 60 percent of the cost of deploying a robot, as explained in a recent NIST report. Improving agility, so that robots can perform a diverse set of tasks and be re-tasked on the fly, would eliminate a major obstacle to wider adoption of the technology, especially among small and medium-size manufacturers. plug-and-play robots, in which robots from different manufacturers can be swapped in and out without the need for reprogramming. “We want to make sure that the challenges in this competition are truly representative of those facing industry,” Schlenoff says. In addition to planning and competing in ARIAC, opportunities to participate also include advising on how technology developed for the competition can be transferred to industry. 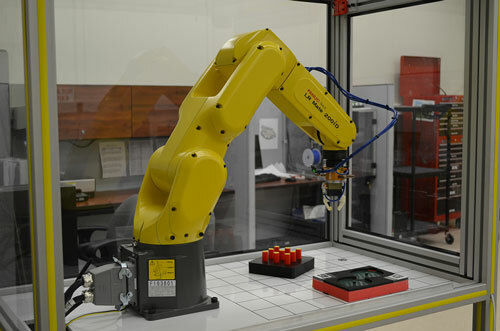 For its part, NIST will use the results and knowledge gained from ARIAC to further its efforts to develop metrics and test methods to measure robot agility as well as tools manufacturers can use to assess and the agility of robot systems.